My research is in the areas of social change, sociology of law, health and inequality. Specifically, I am interested in social movements, human rights and reproduction with an emphasis on how intersecting inequalities operate within and across these sites. I have published in multiple journals including Mobilization, Gender and Society, Sociological Inquiry, Feminist Studies, and Societies without Borders: Social Science and Human Rights. My research has been funded by multiple sources including the National Science Foundation. As a reproductive justice scholar, I focus on reproductive justice as a movement, theory and praxis. In the area of social movements, my work explores movement emergence, coalition dynamics and the role of identity. Coalitions play a vital role in movements and my work in this area contributes to better understanding their functions and (lack of) effectiveness within movements. I am Principal Investigator of the Mobilizing Millions Project in which a team of researchers are examining the dynamics of the January 21st, 2017 women's marches worldwide. 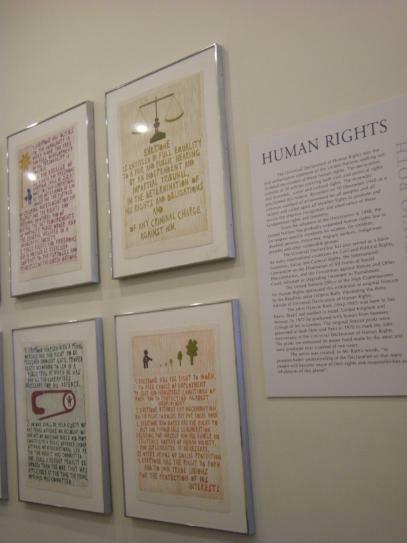 In the area of law and society, my work explores how human rights are engaged with in a regional context (the US) where human rights are misunderstood and often maligned. In the area of reproduction, my work contributes to our understanding of how social identities influence whose reproduction is encouraged and discouraged through policies and cultural stereotypes. The Sophia Smith Collection has been a critical resource. My work has received recognition through invitations to the Law and Society Association Graduate Student Workshop and Midwest Law and Society Retreat. UCSB Students: Each quarter I work with energetic undergraduates through the Faculty Research Assistance Program. Visit the site to learn more about the program and see my project listings.